Lexus NX 2018. Serious restyled crossover. New Lexus 2017-2018 replenished with restyled versions of the crossover Lexus NX, presented in China at the auto show in Shanghai. In the review, the updated Lexus HX — photos and videos, the price and specifications, the technical characteristics of a compact Japanese premium car parker that survived the planned restyling. The start of sales of the new Lexus NX with a refined appearance, an updated interior, a modernized suspension and the newest Lexus Safety System + safety system installed as standard is planned for autumn 2017. According to preliminary information, the price of a crossover that has survived the restyling of Lexus HX will increase slightly in comparison with the pre-reform model and will range from 35500-36000 dollars in the American market. 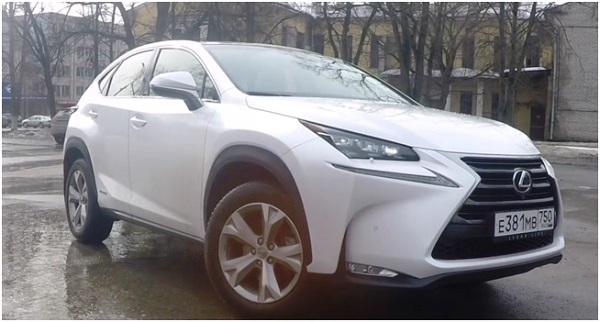 In Russia, the updated NX parking lot will reach October-November 2017 at a price of 2300 thousand rubles for the initial Lexus NX 200. 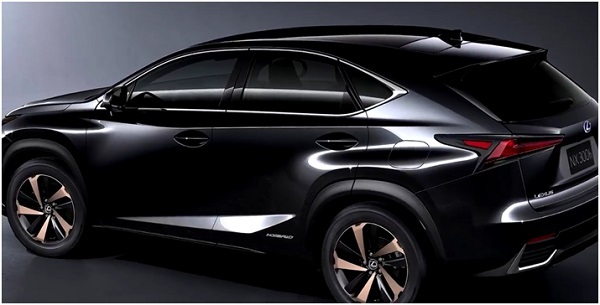 Restyling the most affordable crossover in the line of the Japanese company Lexus with the letters NX found the SUV exactly three years after the official debut of the car in April 2014 in Beijing at the local auto show. The updated crossover was refined by appearance, modernized the interior, changed the suspension settings and even changed the name of one of the versions. So the SUV has changed quite seriously and multifaceted. First of all, of course, strikes a more predatory expression of the «face» of the updated crossover. Japanese designers and engineers awarded the SUV with new headlights (three LED emitters in each headlight), like those of expensive models, the Lexus LC coupe and the new Lexus LS executive saloon, a modernized bumper with more expressive «hourglasses» of a false radiator grille and other side air intakes . The rear of the body, too, has changed quite seriously. In the presence of modernized and more stylish parking lights, a new bumper, as well as the tailgate with a more characteristic relief. The finishing touch to the portrait of the updated Lexus NX is the option to order as an option 18-inch discs made of high-quality aluminum with a new design of the picture. The interior of the premium crossover has changed not so much as the body of the car, but bright interior details are waiting for the car enthusiasts. 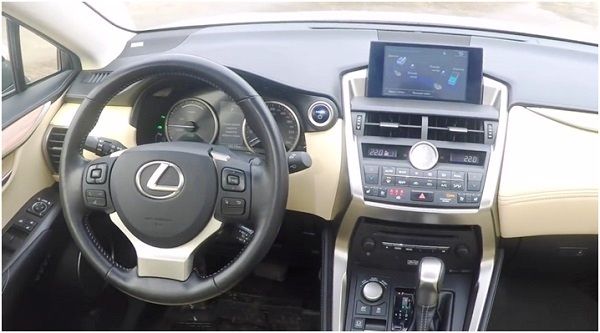 The most important acquisitions of the updated model are the large 10.3-inch color screen of the multimedia system, which came to replace the display with a modest 7-inch diagonal, and the invisible presence of better sound and noise insulating materials, as well as the advanced safety system Lexus Safety System + Working with radar and sonar. The changed HVAC control panel has got convenient switches, other finishing of some interior details and a better readable analog clock — just easy additional touches in the modernized interior, pleasing with excellent coziness and high-quality finishing materials. Specifications Lexus NX 2018-2019 year. Changes in the technical stuffing of the updated Lexus HX are not of a global nature, but … for all versions of the SUV, the Adaptive Variable Suspension suspension with adaptive shock absorbers (previously available as an option only for the F Sport version) is now available, and the crossover has also been upgraded with more advanced features Suspension (springs, shock absorbers and stabilizers), providing better controllability. 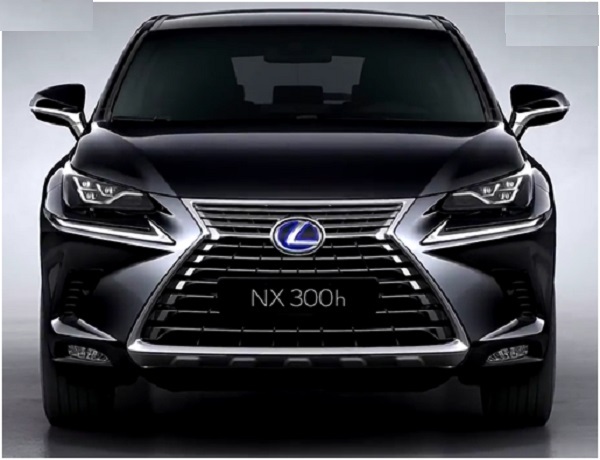 Model NX 200t with a 2.0-liter 238-horsepower turbocharged engine after the restyling is called the NX 300 … under the hood of the previous turbocharged «four», just the company Lexus decided to remove the letter T from the name. «You will not be surprised by the turbocharged engines,» the representatives of the Japanese company state. It seems to us that in fact, potential car buyers from the Lexus logos do not greatly favor the whimsical turbocharged engines with small volume, nostalgic with reliable atmospheric engines. By the way, somehow it looks funny shildik 200t on the stern of the crossover Lexus RX.